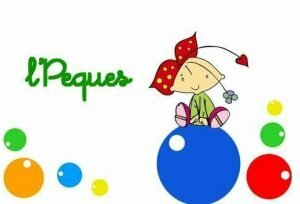 L’Peques Centro Infantil offers high-end childcare. The long opening hours offer flexibility to busy working parents. Owner Lola is wonderful with the children and has brought a simple space to life. What’s more, she tries to accommodate parents wherever possible; drop off and pick-up times can occur anywhere between 7.30am and 8.30pm and one-off days are also possible with some notice. Our first introduction to this place says it all: one morning, while we walking past it, a parent standing outside noticed we had a toddler, and said ‘you should bring your child here, it’s fantastic.’ Now I know what he was talking about. My daughter now goes to L’Peques a couple of times a week – and sometimes on extra ‘óne-off’days – and she absolutely loves it. She looks forward to ‘Lola’s house’ every time and literally runs to Lola’s door from the pram. She also never wants to leave!